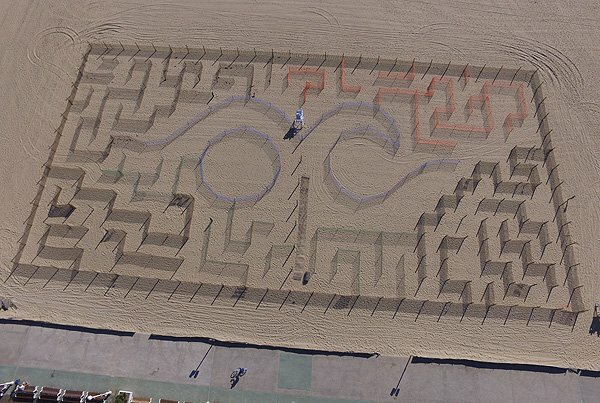 Check out the video from the Beach Maze! Another event that took place as part of the O.C.Toberfest events was the “Howl-O-Ween Pet Parade.” Over 200 pets, from seven states, plus DC, and their owners and friends came out Saturday October 20th, dressed in their best costumes and paraded the boardwalk. 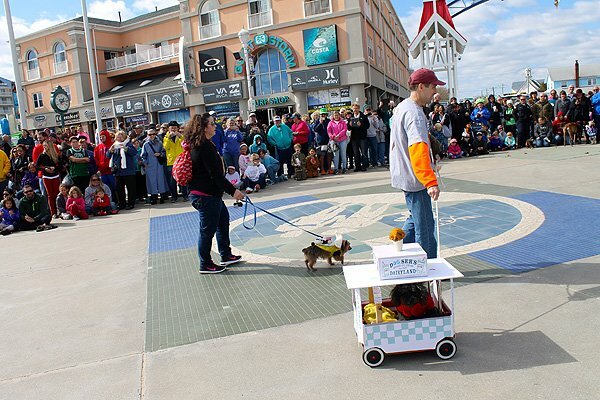 Cheswick the Walk Smart Crab was the Parade Grand Marshal followed by some adorable pets up for adoption and then all the awesome participants! Click here for a complete list of winners! While the event was free to participate, over $1,300 in donations were collected for the Worcester County Humane Society. Hopefully a few furry friends found new homes as well! After the Pet Parade participants and spectators got to sit back and watch the Drive and Disguise parade, which featured cars decorated for Halloween. 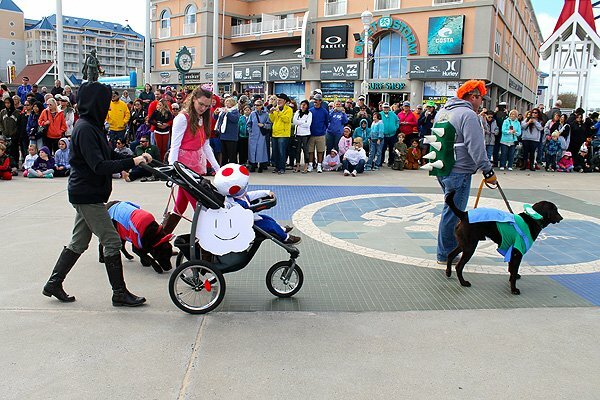 Once the parade reached the pier the cars parked along the boardwalk so some Trunk or Treating! For an added treat there were Haunted Halloween fireworks Saturday night, October 20th, that lit up the beautiful Autumn sky! 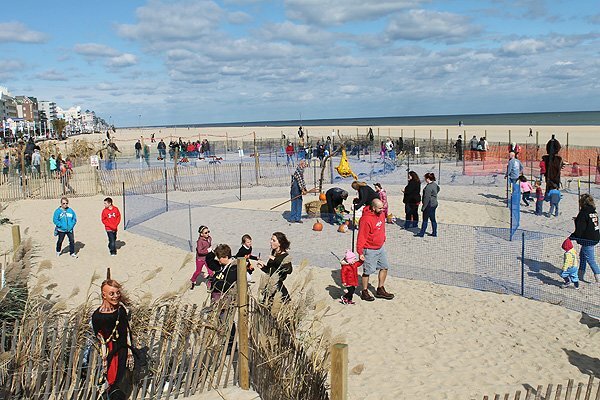 The Boardwalk was packed! 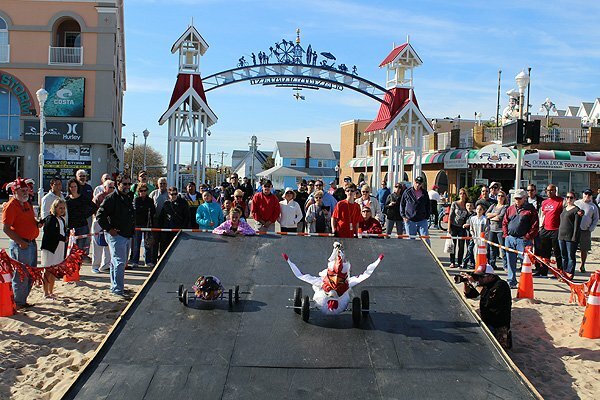 Unfortunately the “The Great Pumpkin Race” scheduled for Saturday October 27, 2018 was canceled due to the weather. 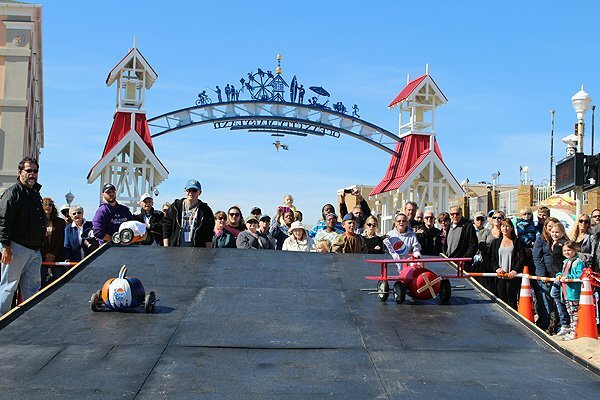 Those that built a pumpkin race car could email their submissions for judging and awards. There were some great submissions!